post-title A sneak preview of the new craft beer pub in Christchurch. 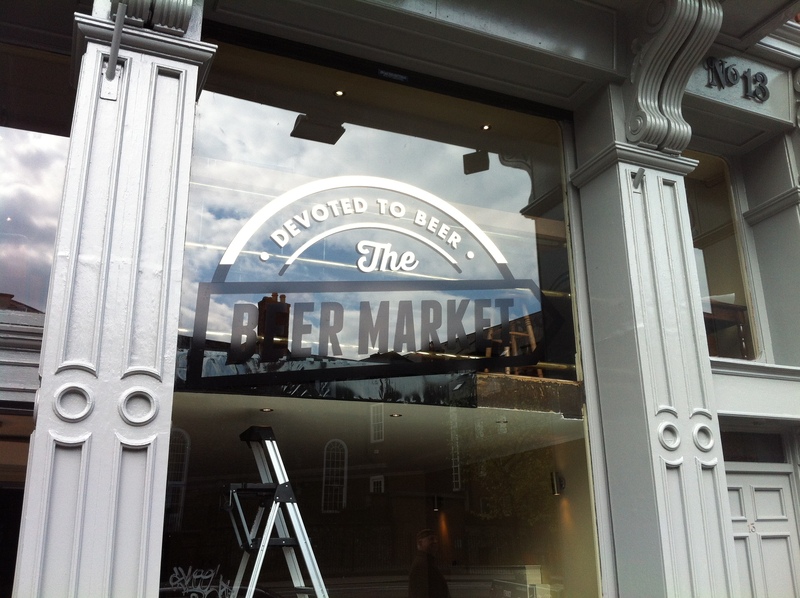 A sneak preview of the new craft beer pub in Christchurch. Home / 2015 / A sneak preview of the new craft beer pub in Christchurch. 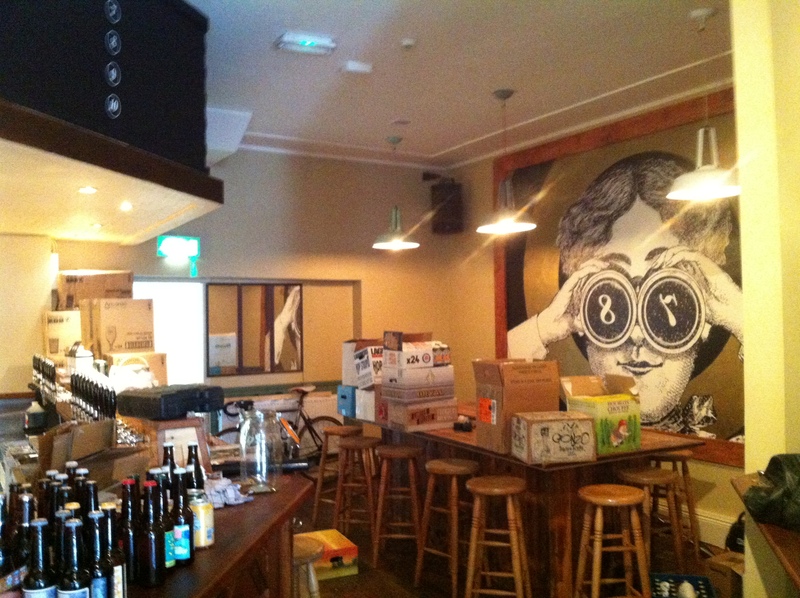 Today we got a sneak preview of the new craft beer bar on High street in Christchurch. 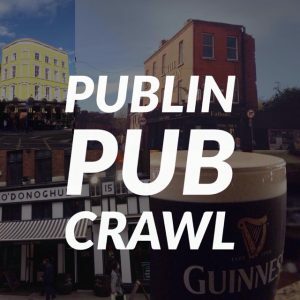 It’s called ‘The Beer Market’ and it’s run by the Galway Bay group who also own Against the Grain, The Brew Dock, The Black Sheep, and the Dark Horse in Blackrock. It won’t be quite the same as their other pubs though, as they’re going to be offering more obscure and hard to get craft beers. They’re still putting the finishing touches to it, so obviously our photos won’t reflect the finished product. Their new tap system seemed somewhat confusing at first, but it’s actually quite straight forward. Their taps will be numbered and the board above the bar will tell you what is in that tap, what price it is, what type of glass it comes in, and the percentage of the beer. They have employed this system because the beers will be on quite a swift rotation and can even change throughout the night depending on whether the whole keg has been sold on. When one keg finishes, we move on to sampling another entirely different beer. 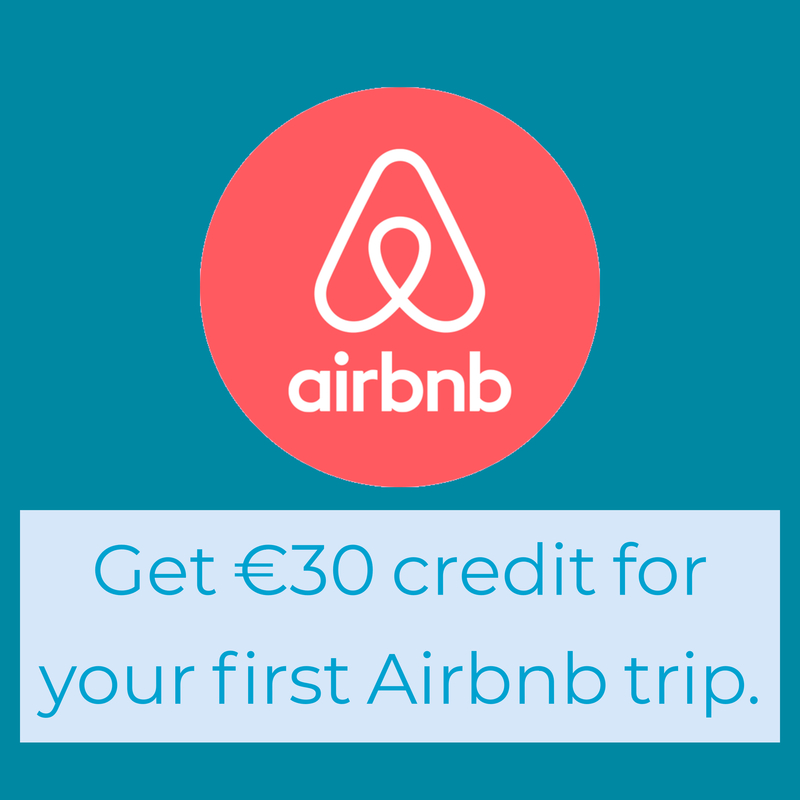 They’ll be serving pies from a pie company located in Temple Bar. 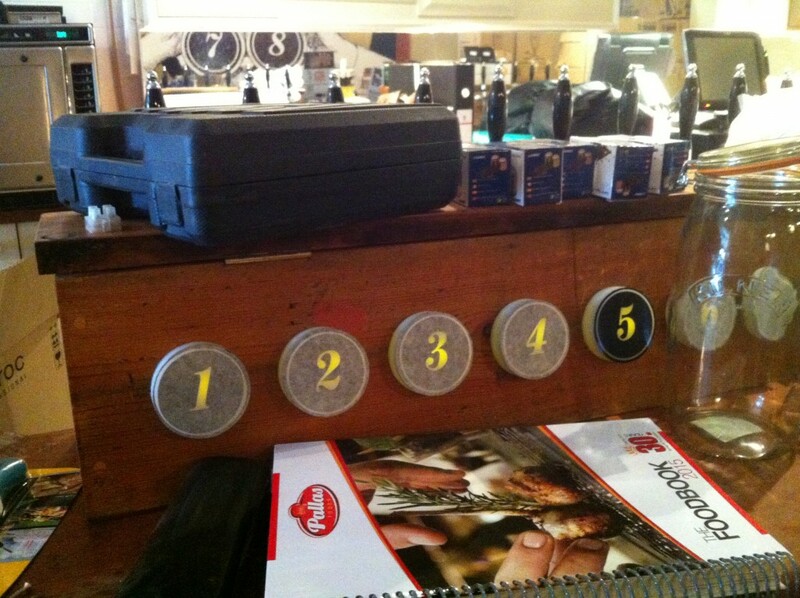 The new numbered tap system. 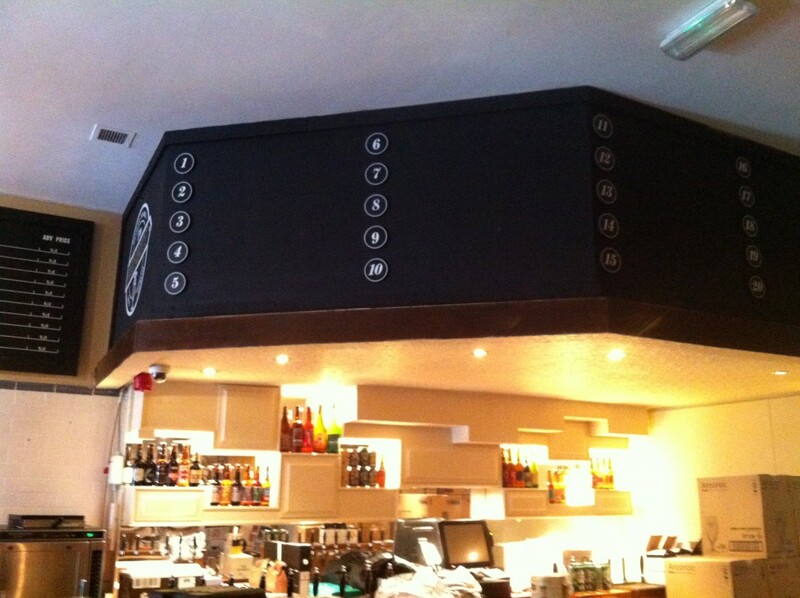 This panel above the bar will tell you what beer is in the numbered taps. They have slates that stick on so its easy to change around. They’re also promising to have some of the cleanest tap lines in Dublin. As the beer in each tap can change from a stout to an IPA very quickly they’re employing a system that will clean the line every time the keg is changed. The site that the bar will open on has changed hands a few times in recent years, having previously been The Little Green, U Bar, The Pale, and most recently, Ryans. 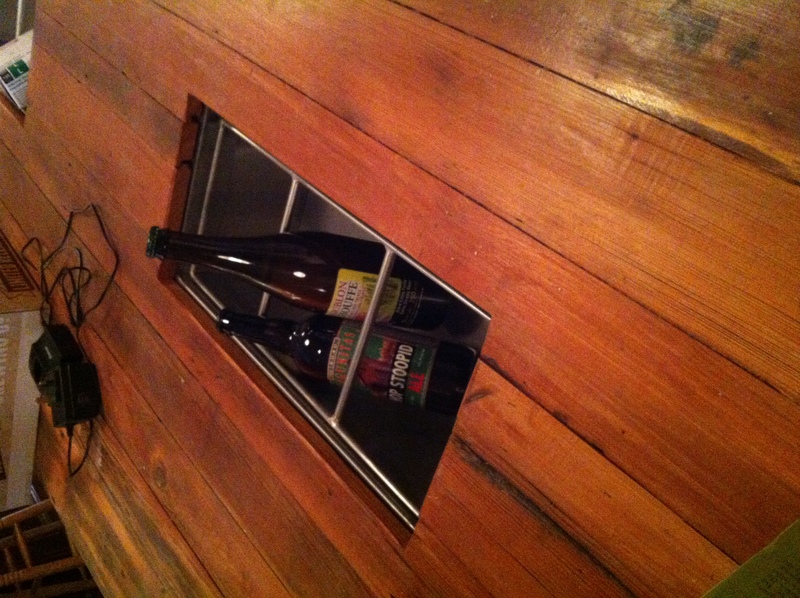 In some of the large tables close to the bar they’ve got ice cooler pits to keep your beer cold while you drink it. This is primarily intended for larger bottles of beer (70ml) that are intended for sharing. It’s a cool idea. There’s a ground floor area as you walk in the, the main bar area up the stairs, and another seating area up more stairs. 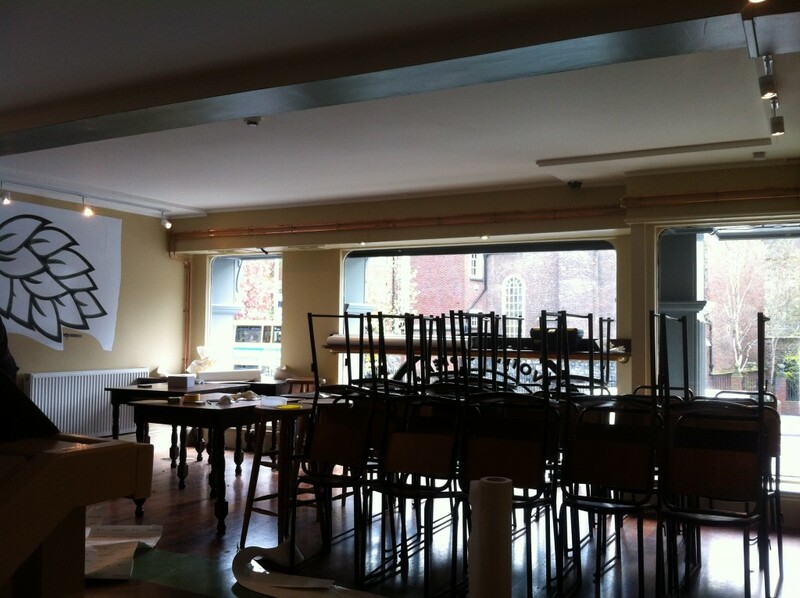 The bar gets plenty of light and looks like a good people watching spot. 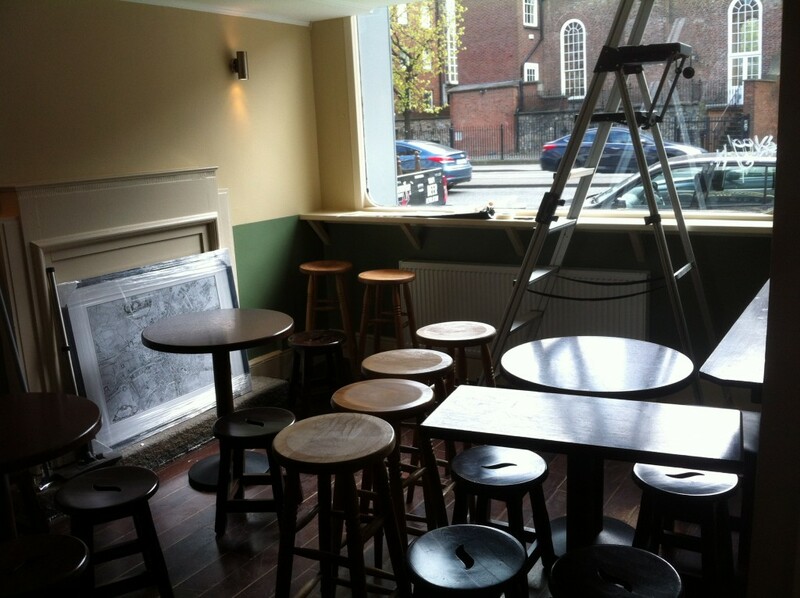 So, it’s all looking good for their grand opening this Wednesday 22nd April. As always, we’re looking forward to trying it out. 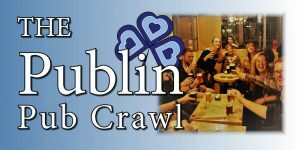 You can find The Beer Market on Twitter @DublinBeer and on Facebook. You can also read our previous article discussing the positive impact the bar could have on the area. Link.